In preparation for the XIV Ordinary General Assembly of the Synod of Bishops in October 2015, Pope Francis has encouraged bishops around the world to undertake wide consultation on the topic ‘The Vocation and Mission of the Family in the Church and Contemporary World’. 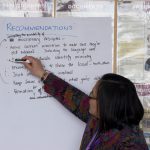 The New Zealand Conference of Bishops invited people to add their ‘voice’ to the global discussion that began ahead of last year’s Synod. The conversation continued this year with a further online questionnaire. Bishop Charles Drennan of Palmerston North will represent the New Zealand Bishops at the Synod in October and spoke to Wel-Com. To recap, what was Pope Francis’ intention in calling the first session of the Extraordinary General Assembly of the Synod of Bishops in Rome last October? Marriage and family life are at the heart of both the Church and civic society. All cultures and societies are experiencing circumstances and influences which are destabilising family life. Pope Francis wishes us to reflect deeply on how we might strengthen marriage and family life and thus make a positive contribution to the world-wide human family. We should not lose sight of the fact that this Synod follows the Synod on the New Evangelisation. The fruits of the earlier Synod made us acutely aware that there is a significant percentage of Catholics who feel they no longer belong within the Church. 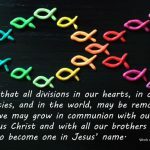 The current Synod’s questionnaire responses confirmed that in many instances this is because their committed relationship or their family does not fit within the parameters or language the Church usually uses to describe family. Put simply, many Catholics and their loved ones do not recognise themselves in the language we sometimes use to define or describe ourselves. To use terminology we usually find elsewhere, we have a large community of ‘displaced persons’, ‘refugees’, who have found acceptance outside of the Church. Do we repeat the tired language of ‘they walked away’ or do we feel a stirring within to reimagine the ‘them’ and ‘us’ language? What is the significance of this Synod in the context of quite dramatically changing structures and mores of marriage and the modern family of today? Is the Church looking to make changes that reflect and accommodate ‘new family profiles’ in the 21st century? Certainly the look of families is changing. Think of migrant families without their extended families; daughters or sons, some unmarried, looking after elderly parents; single parents bringing up a child or children who might have felt pressure to terminate the pregnancy; grandparents raising grandchildren, the practice of whāngai. Some of these people are the very ones who feel they are not on ‘the radar screen’ of Church documents. The contribution we bring to the world stage is the understanding of marriage and family which comes to us primarily through Jesus Christ and through the beauty of faith, spirituality, and theology. We are not necessarily experts in sociology and psychology, though faith of course always walks hand in hand with reason. So, in regard to the Synod it is not so much about us ‘accommodating’ trends as it is about us praying to the Holy Spirit for guidance, evolving our theological insights, and, for example in regard to the origins of homosexuality, learning from the best of evolving scientific knowledge. Those who say nothing will ever change have scant regard for the work of the Holy Spirit or the mission of theology. It is the Magisterium which teaches us that we ‘grow in insight’ (Dei Verbum 8). What, if any, changes are expected in Church teachings as a result of the Synod? Personally I am not convinced that the Synod process itself is one to launch changes. Rightly, the synod process should air all sorts of views. And rightly the usual pattern of a teaching document emerging after a Synod is one that takes time. There needs to be a healthy period of distillation. There may well be theological think tanks that are requested as a fruit of the Synod. Our pastoral responses and initiatives must always be theologically informed. Otherwise we run the grave risk of placing ourselves at the centre rather than the wondrous revelation of God, who we already know is infinitely merciful and compassionate. 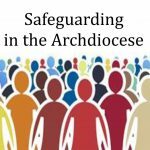 We don’t need to wait for the Synod to grapple with the fact that many of our people in responding to the questionnaire have said – in a very non-confrontational tone I might add – that in the Church they have experienced judgemental attitudes not a guiding hand to help them take a step ahead. The Synod is a great sign of hope not because it is an avenue to bet on this or that outcome but because it is a call to humility: the humility that says to each of us, I have more to learn, we are disciples of the one Teacher, come Holy Spirit enlighten us. On that note, may I take the opportunity, on behalf of my brother Bishops, to thank everyone who contributed to the Synod questionnaire. Your views and reflections have been well-heard. Pope Paul VI established the Synod of Bishops as a permanent Church institution after the close of the Second Vatican Council in 1965, to continue the Council’s spirit of collegiality and communion. The Synod is an assembly of Bishops chosen by the Pope as an advisory body to him. The Synod provides counsel on important questions facing the Church in a manner that ‘preserves the Church’s teaching and strengthens her internal discipline’ (Code of Canon Law, 342). Periodically, the Synod holds assemblies, which are either general, if called to consider matters directly concerning the universal Church, or special, if called for problems of a particular geographical area.